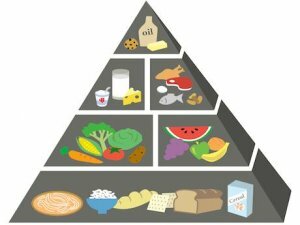 Everyone have a rough idea of eating well but what is a balanced diet? Balance as in the amounts or nutrients? Or other factors? What is confusing is that there are so many different point of views coming from social media (Instagram, Facebook and Twitter), internet, friends, health books and magazines. Unfortunately, most information are people’s views and not proven facts. These information often can be misleading and inaccurate. Therefore, we need to have a certain level of skepticism in this topic of nutrition. Let me explain further. A good nutrition is actually quite simple. Humans made it very complicated, resulting in a lot of different types of dieting plans such as zero carb, high fat, fruits diets and intermittent fasting. No one can prove that these diets are healthy or not. It all depends on your choice and what is your aim. Fitness improvements? Losing weight fast? Gaining muscle strength? Or just to stay healthy and stay away from illnesses? No specific diet can cure the above problems if done incorrectly. It all depends on your health situation and your medical background if any. In our opinion, a healthy dieting plan must moderate amount of carbohydrates, sufficient protein and small amounts of good unsaturated fats (omega 3 fats, olice oil etc). There are no “bad” food in our context. But only unhealthy amounts and low quality food. A well balanced meal must include all the different food groups that provide essential nutrients to our body. All these food groups have its own purposes. If you want to loss weight faster, you may want to try a low carb diet. Let me explain why. We gather 7 food groups below. This group make up about 40% of what you eat daily. It provides vitamins, minerals and antioxidants to protect your body from diseases and viruses. They are also known as complex carbohydrates. 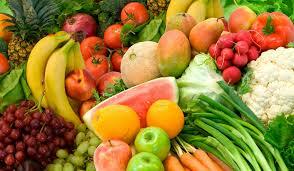 Green leafy vegetables and some fruits are low in Glycemic Index (GI). The lower the GI, the slower it acts on our blood sugar. Keeping our blood sugar level low and controlled. Makes up 40% of total food intake. Its the major source of carbohydrates providing fuel for our muscles, liver and brain. Grains are also high fibre foods that regulates and promotes good bowel health, maintaining our digestive systems. 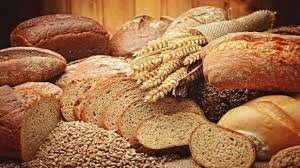 Least processed whole grain carbohydrates also provides some antioxidants to fight bacteria and viruses. Some fitness people tell you to cut carbs totally for weight loss. In reality, you are cutting down on muscle fuel and fibre, leading to tiredness and constipation! Only high processed carbs such as pastries, cookies, candies and cakes are likely to make you fat if you are inactive. Its a tricky topic and more research is needed to understand how our body put on weight. Consult our trainer to find out more! This group is very important in providing protein and other minerals such as iron and zinc. Try to choose white meat (chicken and fish) over red meat (beef, duck and lamb). White meat are lower in fats and cholesterol. Fish are high in protein too and it contains good omega 3 fats. 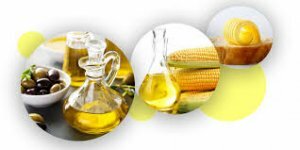 Studies have shown that some good fats can help to reduce risk of heart issues. Eggs, nuts and legumes(kidney beans and baked beans) are good sources of protein for vegetarians. Medical research also shown that these foods appear to reduce the risk of heart diseases, some cancers and diabetes. Although protein doesn’t makes a good source of fuel for exercising, it takes the major role of muscle building and muscle tissues repair. 4. 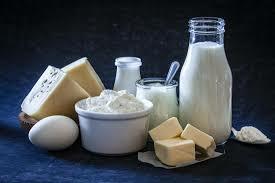 Dairy products such as milk, cheese and yogurt. 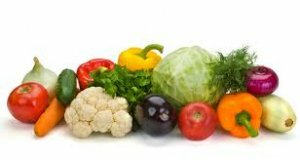 This food groups provide calcium, some protein and riboflavin. Chooses skim milk because its lower in saturated fat. Reduced fat milk are also healthier as it contains higher protein and calcium. Calcium helps to strengthen bones, preventing osteoporosis and bones degeneration. Studies also shown that calcium together with vitamin D helps to reduce high blood pressure and lower risk of cancer. If you don’t fancy milk or having milk intolerance, you can replace it with soy milk or yogurt. Unsaturated margarines and good oils provide vitamin E and D. Although its nutritious, they need to be limited as they are high in calories. Just use it sparingly to improve flavour of your dishes. 6. Treats. Yes sinful treats!! Ok, they are not really a food group but to us but they makes us happy. I consider them as “happy” food. Chocolates provides essential minerals, vitamins and antioxidants. They cannot replace your carbs as they contains 30% fat. It should be controlled and eaten in small amounts. Pastries, pies, ice cream, cakes and take aways are mostly processed foods. Honestly, they should be enjoyed but in very small amount. Thats why we called them treats! Yes, its a type of nutrient. And the most essential one as well. Try to avoid sugar liquids and consume more plain water. Remember, water replenish your fluid loss daily and prevents dehydration. Your body needs water to function especially if you are an active person! Achieving a healthy body weight, BMI (Body Mass Index) and body composition. To maintain a good overall general health, free from infection and illnesses. It provides fuel for daily activities and training. Promotes assistance in muscle recovery from training and sports. Helps to maximise fitness performance during training or competition. Stick to the fundamentals of various food groups as mentioned above. We all need a balance of carbs, protein, fats and oils for our body to function. Eat in moderation. Stick to eating more meals but lesser portion each meal. All food is good, its the amount that determines how healthy it is. Sensible eating. Choose more whole grains and vegetables. Prepare your own meals and cut down on take aways. So it allows you to choose your food wisely and less processed too. Strict diet plans, books, weight loss supplements or any products that promised a quick and instant painless solution is very likely to be a rip off! Do small changes to your diet to prevent feeling deprived or overwhelmed. Make sure your plan is sustainable and realistic. Read nutrition labels on food packaging. It makes choosing your food easier. Drink plenty of fluids and cut down on high sugar liquids. Focus on how you feel after eating. Feeling good is the priority. Avoid eating too late at night. Your digestive system need a break too! Healthy gut is very important. Reduce in processed food consumption. Drink in moderation. Alcohol slows down metabolism rate and affects mental health. Men stick to a limit of 2 standard drinks a day and women 1. Eating right is easy with PT works! With us, having the right food plan is not complicated. It shouldn’t be in the first place. We made it simple, focusing on nutrient rich food instead of the “good” and “bad” food. There is no magic dieting plans. The basic food intake should be packed with high fibre, vitamins, minerals, proteins and some good fats. Here, we don’t skip any meals nor avoid food. All food are good to us, as long its nutritious. Why torture yourself with the latest diet trends? Strict plans that induce water and sugar loss at the start but not sustainable. Before you even lose body fat, you are already on the verge of giving up due to feeling weak and falling ill (lack of nutrients). Listen to your body and everything will work. Feeling good after a well designed meal is the most important. Cutting away food groups also remove the vitamins and minerals from your body. So, instead of removing huge amounts of food, focus more on the nutrients you can obtain from food. Follow our advice and start today. Be good to your body, eat well and start enjoying a great variety of food! If you have any questions, contact us for a free diet consultation!